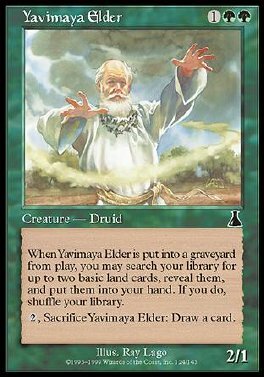 When Yavimaya Elder is put into a graveyard from play, you may search your library for up to two basic land cards, reveal them, and put them into your hand. If you do, shuffle your library. 2, Sacrifice Yavimaya Elder: Draw a card.